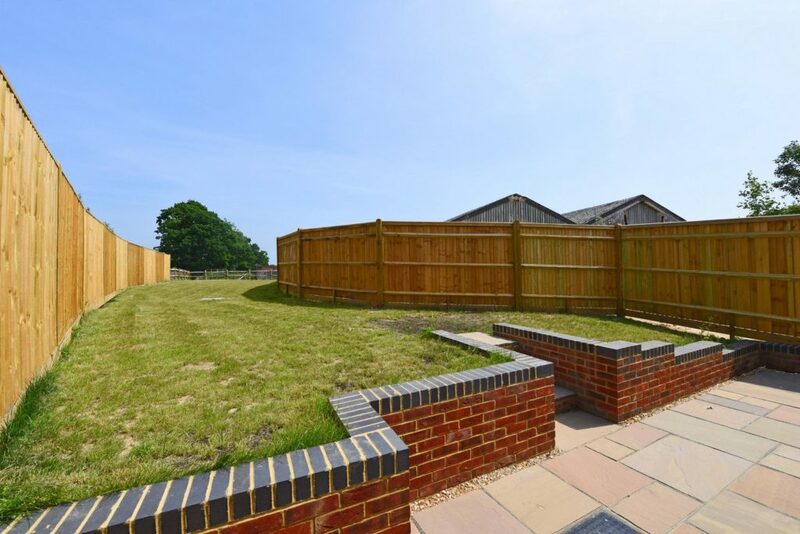 A newly completed semi-detached barn conversion, finished to a high standard and situated in a quiet semi-rural location. 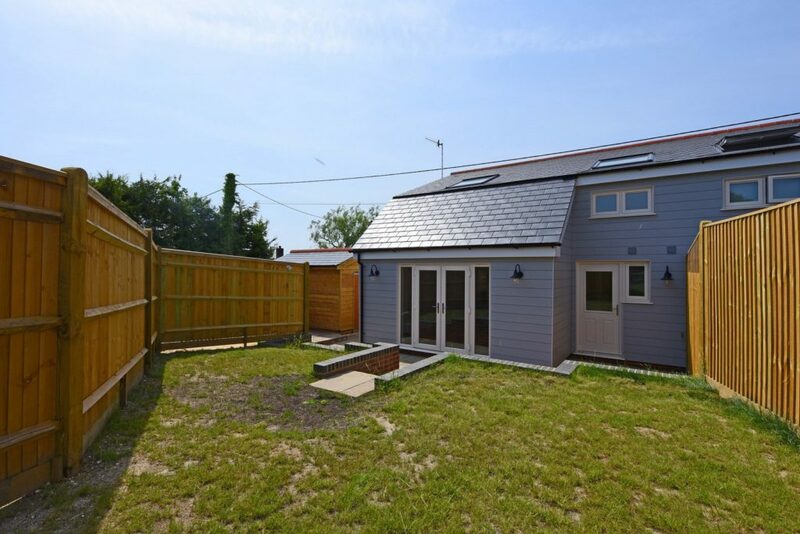 The accommodation includes a large open plan living area, with a stylish kitchen, separate utility/boot room, three bedrooms and a luxurious bath/shower room. The garden is a good size and overlooks open fields. Potentially low energy consumption with an air source heat pump which feeds the hot water and central heating. 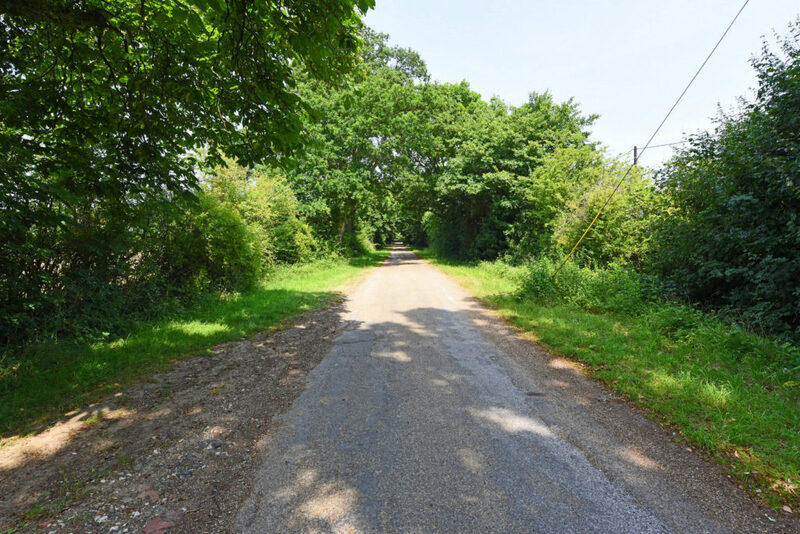 The property is approached via a tree-lined lane and a private driveway. 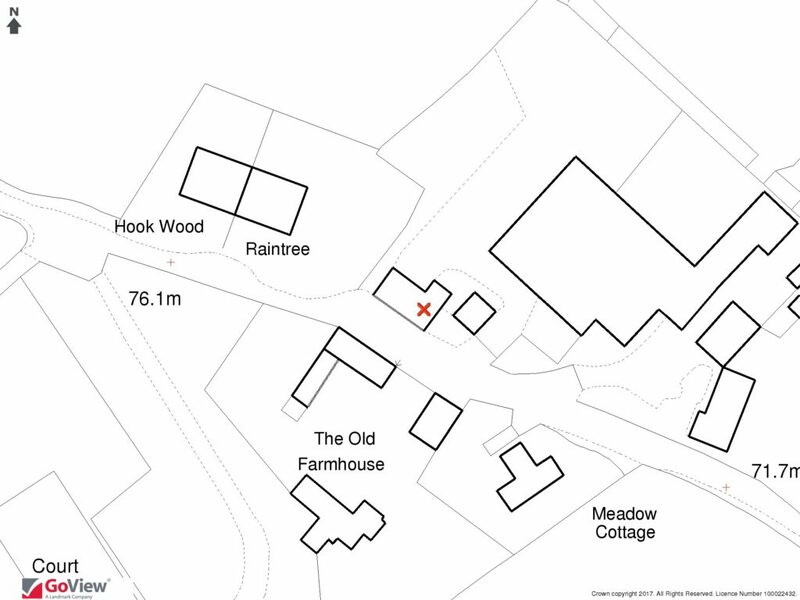 There are several neighboring properties, including the other half of the barn conversion and The Old Farmhouse opposite, so the property doesn’t stand in isolation. 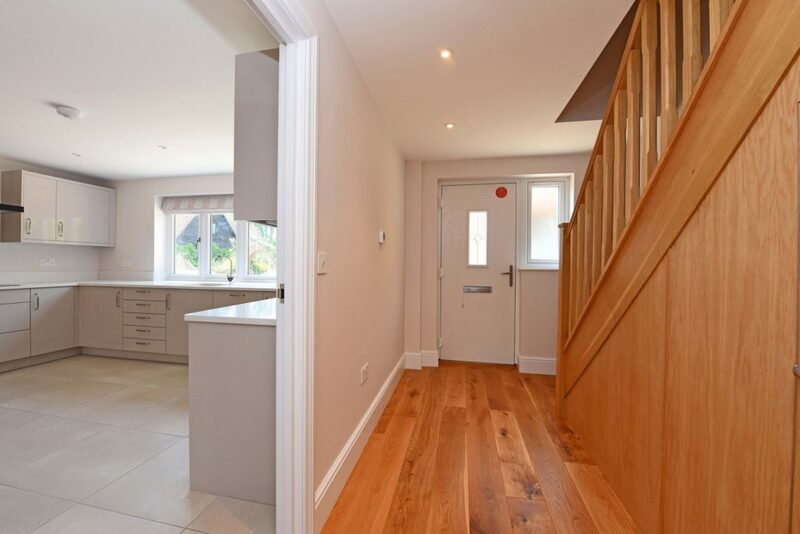 The front door opens into an entrance hallway with an oak floor and under floor heating runs throughout the ground floor. 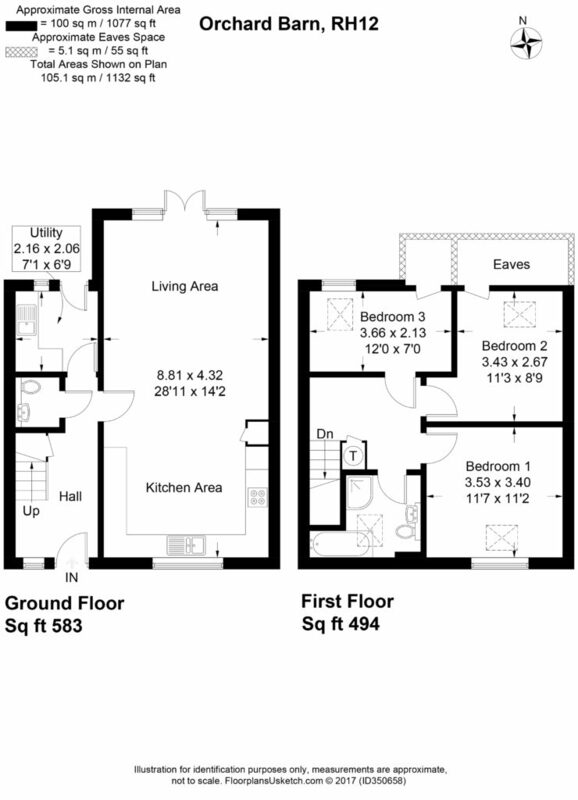 A door opens off the hallway into an open plan kitchen and living area. 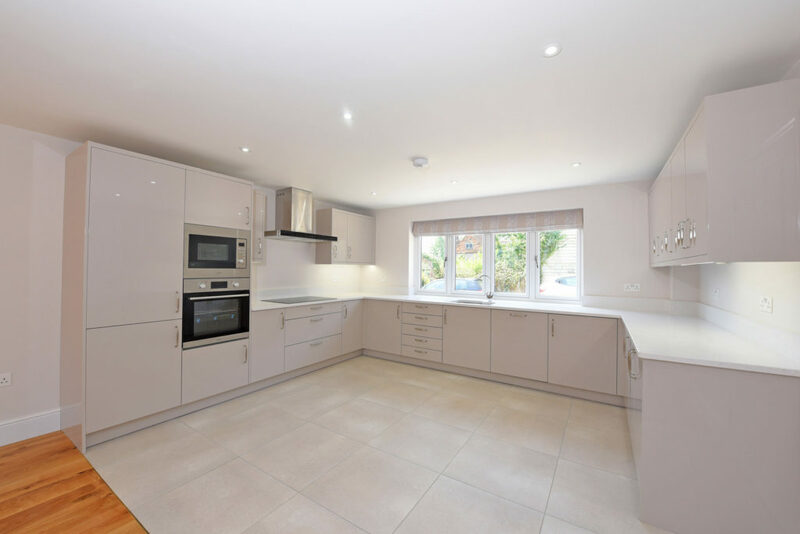 The kitchen has a beautiful porcelain tiled floor and is fitted with a range of stylish grey units and granite worktops. It features a built in oven, microwave, fridge/freezer, ceramic hob, stainless steel extractor hood, dishwasher and soft-close cupboards and drawers of various sizes. 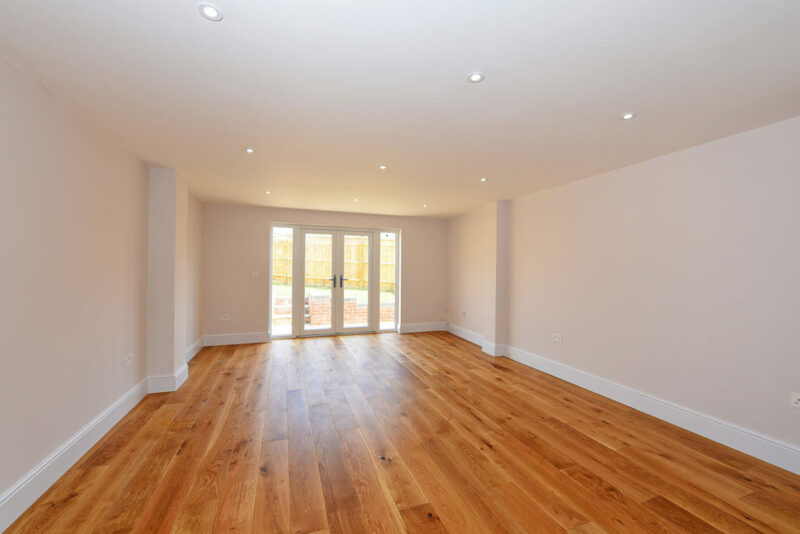 The living area has an oak floor and double doors leading to the patio and garden. 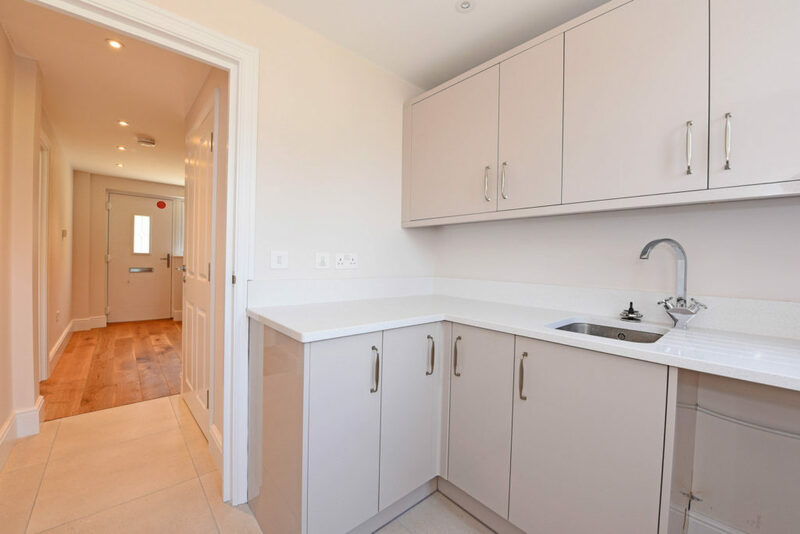 The utility room is fitted with a matching range of grey units and granite worktops, with a sink and space for washing machine and dryer. 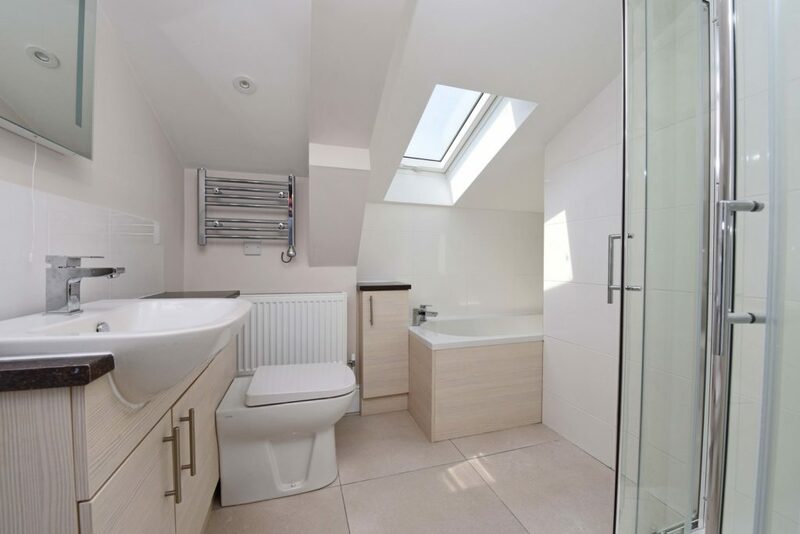 The porcelain floor tiles match the kitchen and extend into the adjoining cloakroom, which has a vanity unit with inset basin, wc, and a wall mounted cabinet and mirror. From the entrance hall an oak staircase leads to the landing, where the airing cupboard houses the hot water system, which stores the water heated by the air-source heat pump, which is then ‘boosted’ by heat exchangers before supplying the hot water and the central heating; a thoroughly modern and energy efficient system. 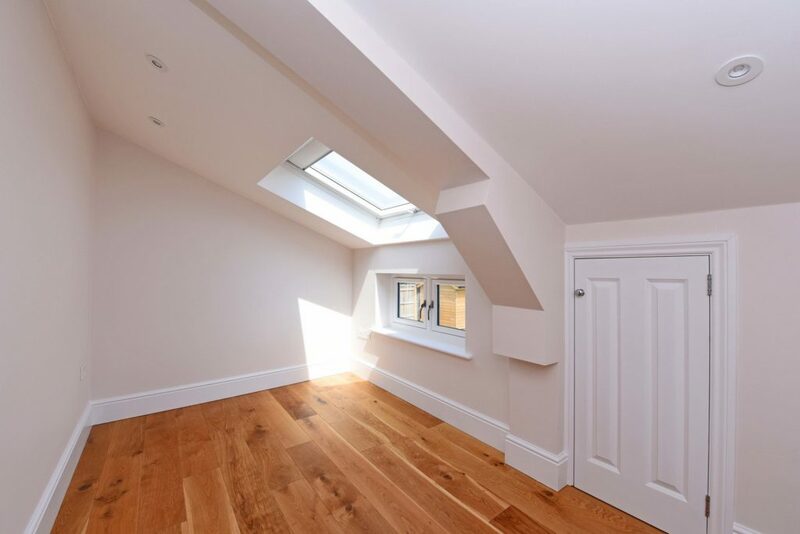 Bedroom 1 is to the front of the property with a low window and a rooflight window above. 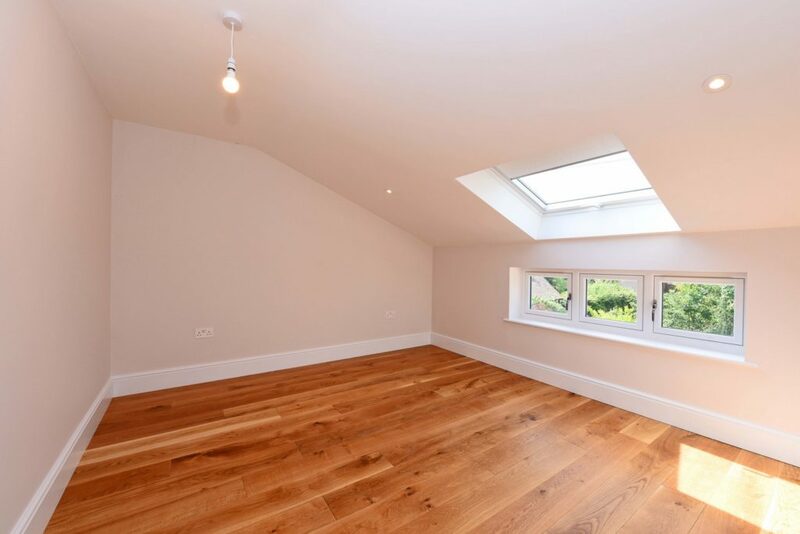 Bedroom 2 is another double with eaves storage and a roof light window. 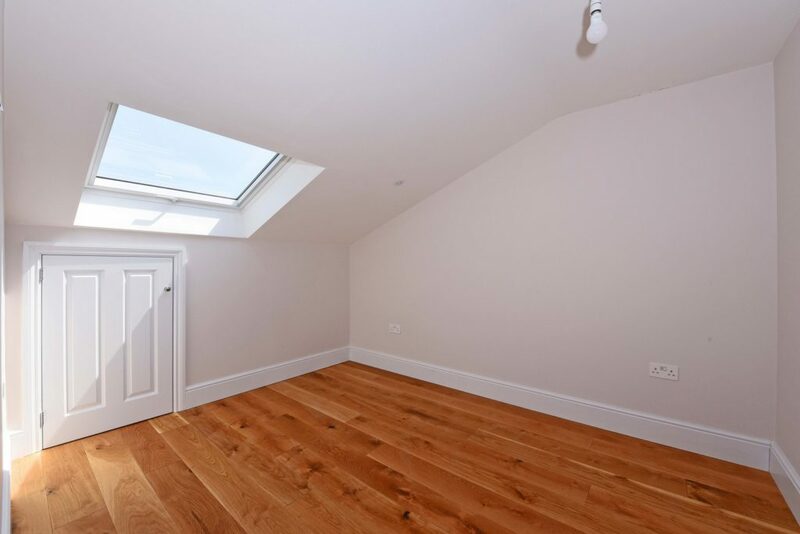 Bedroom 3 is another characterful room with eaves storage, a low level window and roof light window above with an outlook to the rear over the garden and open fields beyond. There is a block paved driveway to one side with parking for two cars. A side gate leads to a timber garden shed and the rear garden. 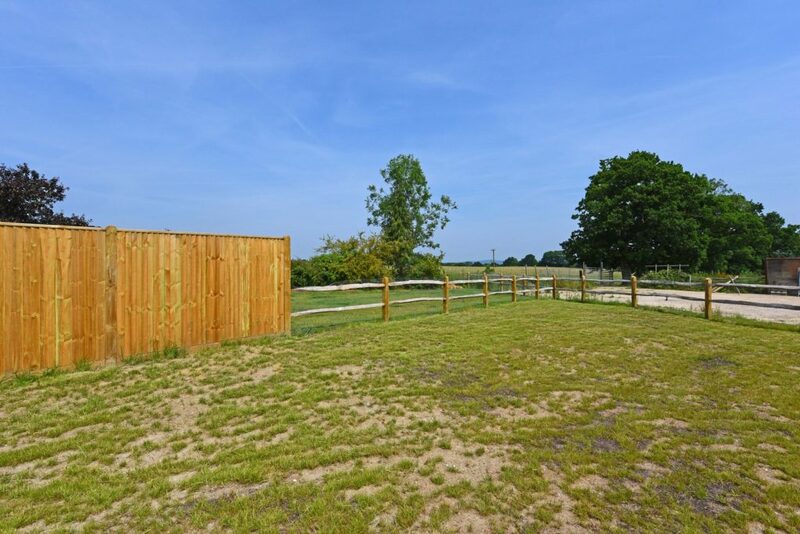 The property is situated on the rural fringes of the village of Rudgwick and is surrounded by open countryside and farmland, with a network of footpaths on the doorstep, making it ideal for those who like walking, cycling and horse riding. 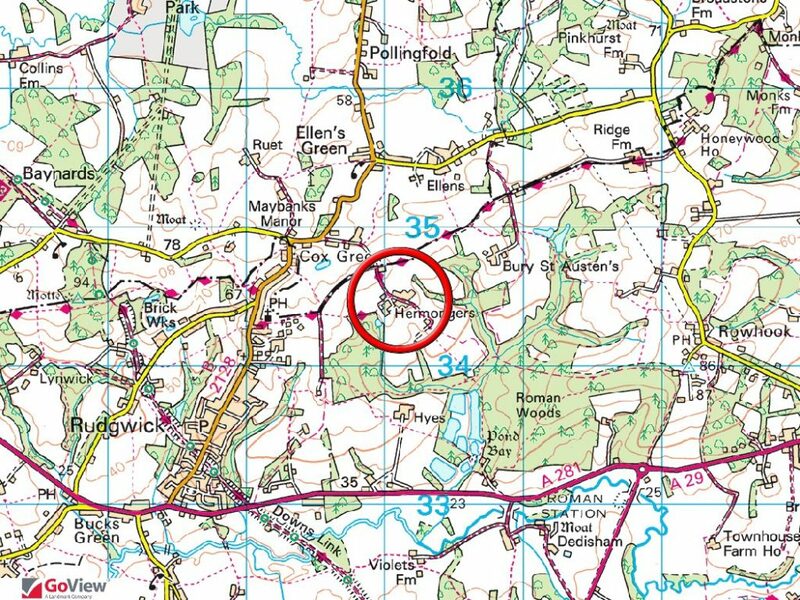 Rudgwick is located between Guildford and Horsham, and is situated on the old railway line which now forms the Downs Link – a 37 mile foot path and cycle way that runs from Guildford to Shoreham. 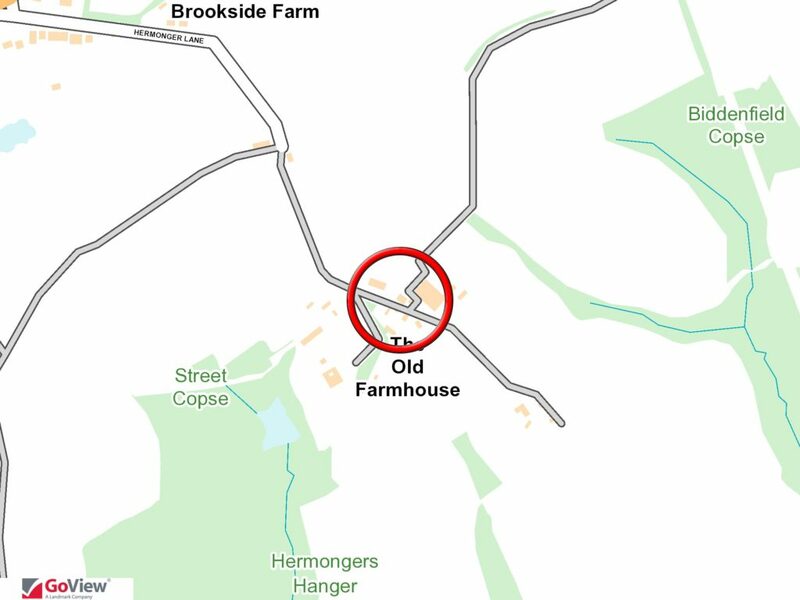 The village centre has a well-stocked convenience store, post office, a primary school and a doctor’s surgery. There are a choice of two pubs; The Kings Head and The Fox, both of which serve food. 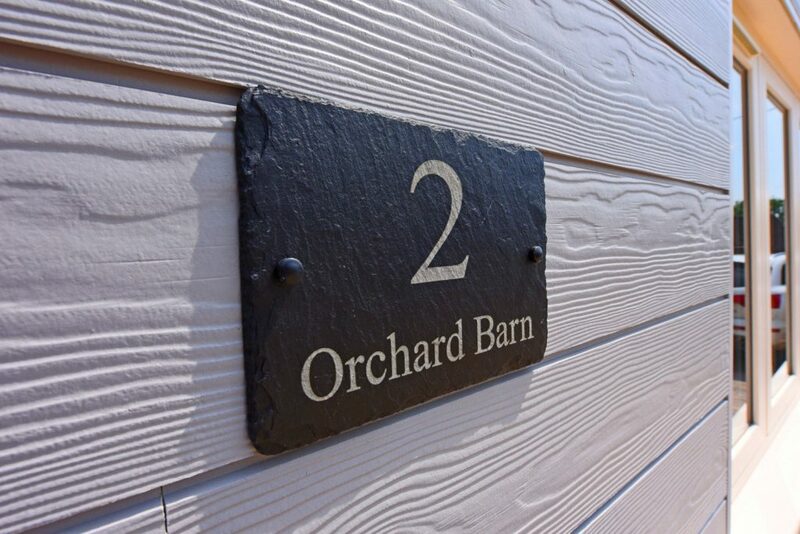 Horsham is 8 miles to the south of Rudgwick and has evolved in recent years, with new shopping arcades, leisure facilities and many new housing developments. It also provides a main line train service to London Victoria, and access to the A24 and M23. 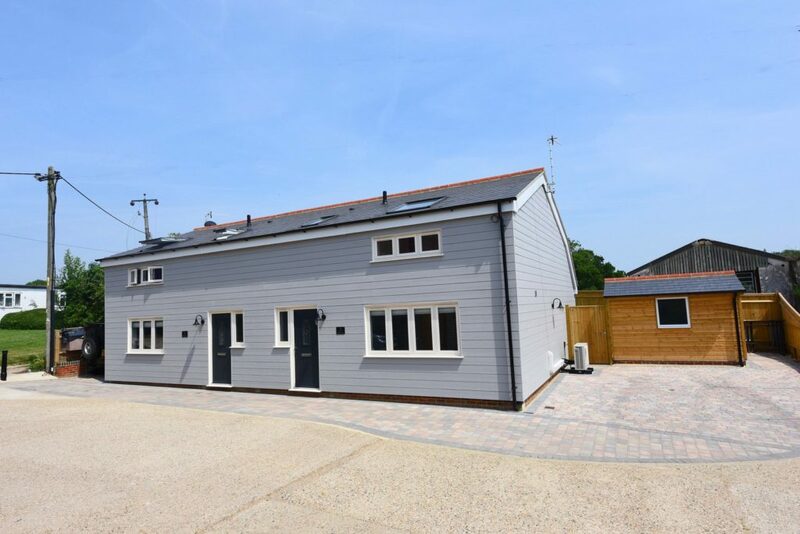 A newly completed semi-detached barn conversion, finished to a high standard and situated in a quiet semi-rural location, with low energy consumption resulting from a state of the art air source heat pump which feeds the hot water and central heating (EPC Band C).